Hi there! 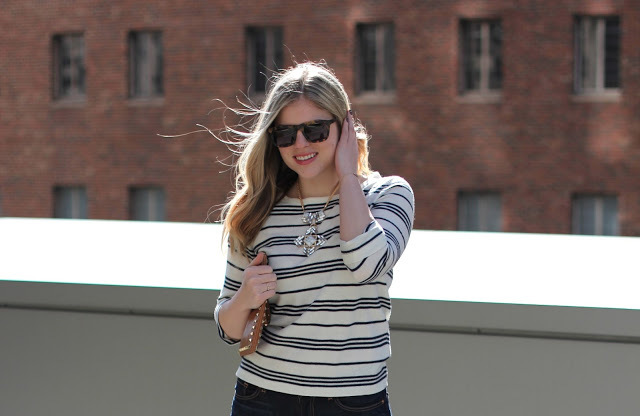 My name is Miranda and I blog over at One Stylish Day at a Time. I'm filling in for Sam while she vacations down under with her guy - aren't you jealous? I know I sure am! Well don't worry Sam, I'll hold down the fort here while you're away by talking about my four favorite spring trends: floral, lace, lucite, and metallic. And the best part about these trends? They easily translate into clothing, accesories, and shoes. See below for some inspiration and pieces you can add to your collection for spring. Great round-up Miranda! I looove that lucite clutch! Thanks for having me Sam! And yes, Mumm Napa is the best! My go to for champagne. Hope you're having the best trip! I almost couldn't read the entire post because I was too distracted by Miranda's AMAZING necklace....where is that from?!?!?!?! I've been dying to get my hands on a lucite clutch for a while now! So cool. This is a fabulous round-up!! Must pop over and visit your blog!